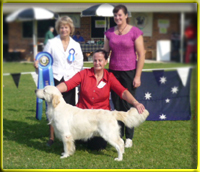 Beryl and Fred both started their judging careers in 1975, first judging Golden Retrievers then progressing to all Gundogs. 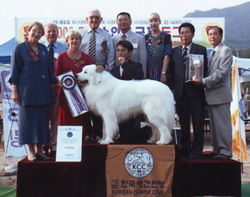 Beryl has gone on to ALL BREEDS status and is eligible to judge All Breeds worldwide. 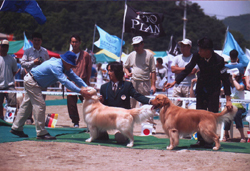 Both have judged Golden Retriever Specialty Shows, which is indeed an honour. 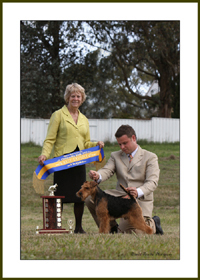 Beryl has judged Contest of Champions in New South Wales, Queensland, South Australia and the North Island of New Zealand. 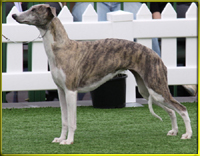 More recently, both had judging assignments in Finland and Spain with Beryl having the honour of judging Best in Show, which was indeed a wonderful experience. Apart from judging Gundogs in conformation, Fred also judges Gundog Working Test. 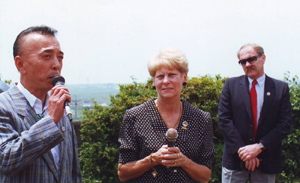 Over many years Fred and Beryl were involved with the Judges Training Scheme, with Beryl holding the position of Chairperson for several years. 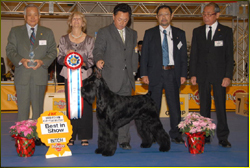 Best in Show at the Canine Fund Raising Show W.A. 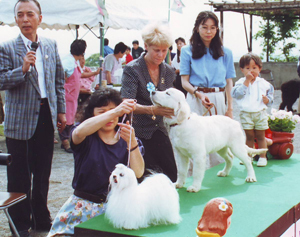 Below photos of Beryl with some of her Best in Show winners.